Fargo is an American 60 minute scripted crime television series, which kicked off on April 15, 2014, on FX and is broadcast every Wednesday at 22:00. The show is currently in its 3th season. FX has officially confirmed the renewal of Fargo for Season 4. The exact release date is yet to be announced so far. Sign up to track it down. 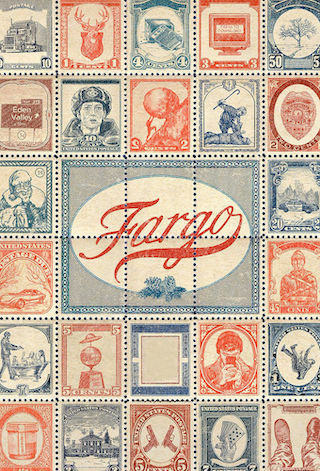 Fargo is an American crime drama with some dark comical elements inspired by the film Fargo written by the Coen brothers. It was met with considerable acclaim as insurance salesman Lester Nygaard faces off against the psychopath Lorne Malvo. FX is taking viewers back to Fargo for a fourth time as the acclaimed and award-winning limited series is set to return next year with Chris Rock onboard to star, it was announced today by John Landgraf, CEO of FX Networks and FX Productions. In 1950, at the end of two great American migrations - that of Southern Europeans from countries like Italy, who came to the US at the turn of the last century and settled in northern cities like New York, Chicago - and African Americans who left the south in great numbers to escape Jim Crow and moved to those same cities - you saw a collision of outsiders, all fighting for a piece of the American dream. In Kansas City, Missouri, two criminal syndicates have struck an uneasy peace. One Italian, one African American. Together they control an alternate economy - that of exploitation, graft and drugs. This too is the history of America. To cement their peace, the heads of both families have traded their eldest sons. Chris Rock plays the head of one family, a man who - in order to prosper - has surrendered his oldest boy to his enemy, and who must in turn raise his son's enemy as his own. It's an uneasy peace, but profitable. And then the head of the Kansas City mafia goes into the hospital for routine surgery and dies. And everything changes. It's a story of immigration and assimilation, and the things we do for money. And as always, a story of basically decent people who are probably in over their heads. You know, Fargo.